Shenzhen Arashi Vision Co., Ltd is a professional intelligent technology company, committing to develop spherical image technology. Established by CEO LiuJingKang and his team in 2014, and we are based in Shenzhen China. The brand of our camera, Insta360, has become the leader in VR spherical camera industry and as to meet needs of government, enterprises and general consumers, our products have covered both professional and mass markets of VR spherical camera industry. 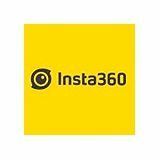 Since our products launched, Insta360 has been exported to more than ninety countries, including United States, United Kingdom, France, Germany and Japan and it is widely used in tourism, mass media, sports, events and conferences, etc. Shenzhen Arashi Vision Co., Ltd hopes to create maker-driven culture and provides great opportunities to staffs to achieve creative ideas. It is also an easy and efficient company with great potential. At the beginning of establishment, we raised up from our angel investor IDG Capital Partners and Qiming Venture Partners. In 2016, we raised several hundreds of millions in B series financing from Thunder network, Suning Invests, FreeS Fund, Qiming Venture Partners and IDG Capital Partners. We will produce more products to launch to various segment markets and keep leading the spherical camera industry. To record every memorable moment in life, people invented graphs, characters, photography and video technology. Now VR spherical technology is leading a new era that it can help us to record completely as much as possible and we believe this innovation will definitely change our life in the future. Our mission is to make VR spherical technology be easily used, shared, appreciated by every one.